I'm back in Texas today, after a lovely long weekend in Oregon with Colt's side of the family. I'll gather some pictures and post those later in the week. Today is a catchup day. With work, with laundry, with "home" life. I'm sure you all know what I mean. However, in keeping with my goals of posting at least once every week day, I got this email over the weekend and wanted to share the Calendar of the Month Club with you all. Each month, Curiosity sends out a free, downloadable paper toy calendar. They're super cute and seemingly easy to assemble—I've never done one because I always forget to print them from home, but they look simple enough. Cute, non? Download April and sign up to receive the rest of the year's calendars here. 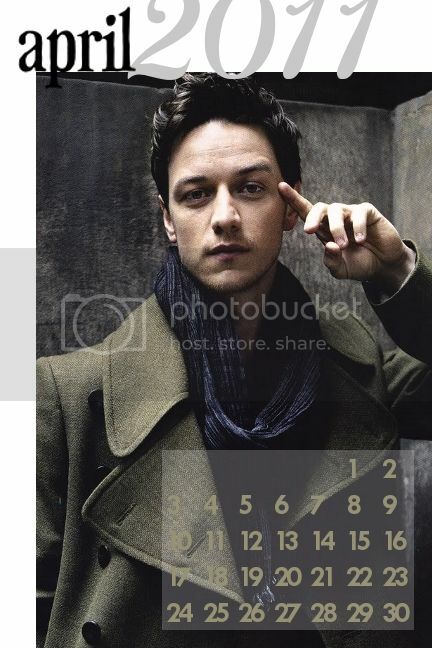 Oh, and in the spirit of calendars, here's Mr. April from my 2011 Man Calendar. oh my GAWD im printing this out and puting next to my bed. The record player? Or James? ;) And what a great shirt, haha! JM-Let me know how it goes! Oh my goodness! I love that little paper craft record player. I'm going to have to do that so I can make one of those!